Flat machined covers are made for pressures greater than basic yoke & bolt or clamp bolt manways can tolerate. These covers are available in standard thicknesses or in custom specified thicknesses that allow for a higher range of pressure / temperature conditions. Designed for use with yoke & bolt hardware. 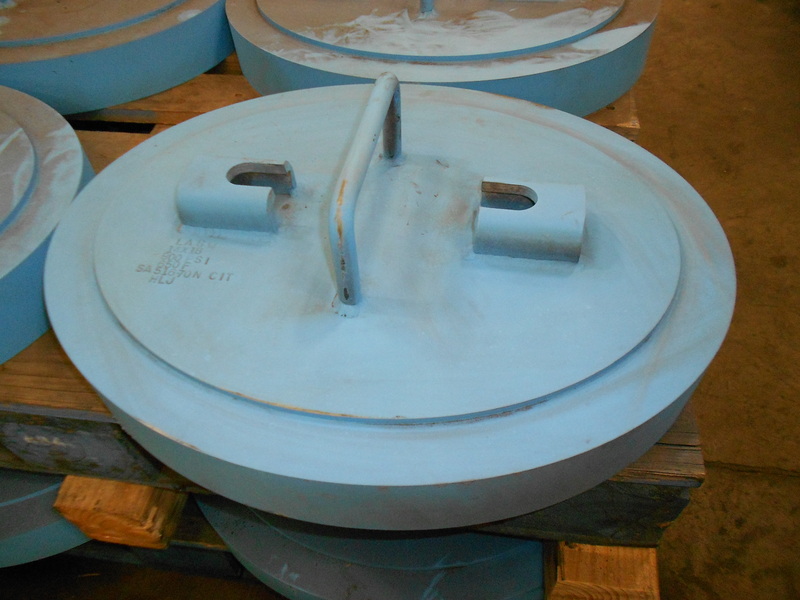 Covers are made of carbon steel (SA105, SA516gr70 RVQ Plate, Stainless Steel).